Pioneer Valley Juniors (the “Club”) recognizes the prevalence of electronic communication and social media in today’s world. Many of our student-athletes use these means as their primary method of communication. While the Club acknowledges the value of these methods of communication, the Club also realizes that there are associated risks that must be considered when adults use these methods to communicate with minors. All communications between a coach or other adult and an athlete must be professional in nature and for the purpose of communicating information about team activities. 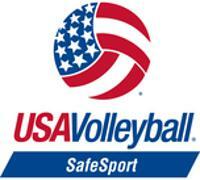 The content and intent of all electronic communications must adhere to the USA Volleyball Code of Conduct regarding Athlete Protection. Note: Any communication concerning an athlete’s personal life, social activities, relationship or family issues or personal problems must be transparent, accessible and professional. With respect to electronic communications, a simple test that can be used in most cases is whether the electronic communication with athletes is Transparent, Accessible and Professional. Transparent: All electronic communication between coaches and athletes should be transparent. Your communication should not only be clear and direct, but also free of hidden meanings, innuendo and expectations. Accessible: All electronic communication between coaches and athletes should be considered a matter of record and part of the Club’s records. Whenever possible, include another coach or parent in the communication so there is no question regarding accessibility. Professional: All electronic communication between a coach and an athlete should be conducted professionally as a representative of the Club. This includes word choice, tone, grammar and subject matter that model the standards and integrity of a staff member. If your communication meets all three of the T.A.P. criteria, then it is likely your method and manner of communication with athletes will be appropriate. Any communication between a player and coach needs to be appropriate and related to volleyball and team topics. The Club recognizes there are many ways communication can take place, including face to face, phone calls, words written on paper, email, texts, a Facebook or Twitter message, and others. Any communication between players and coaches needs to be appropriate, relevant, and within the USA Volleyball Codes of Conduct and Ethics, regardless of the way the communication was sent. Instant communication should only take place between the hours of 7am and 10pm, except in cases of emergency. Athletes and coaches may use email to communicate. When communicating with an athlete through email, a parent, another coach or a board member must also be copied. The parents or guardians of an athlete may request in writing that their child not be contacted by coaches through any form of electronic communications. Immediate compliance without repercussion must be granted. Social media and electronic communications can be used to commit misconduct (e.g. emotional, sexual, bullying, harassment and hazing). Such communications by coaches, staff, volunteers, administrators, officials, parents or athletes will not be tolerated and are considered violations of our Participant Safety Handbook. Violations of the Club’s Social Media and Electronic Communications Policy should be reported to your immediate supervisor, a Club administrator or the Regional SafeSport Officer for evaluation. Complaints and allegations will be addressed following the appropriate procedure. A USA Volleyball participant or parent of a participant who violates this policy is subject to appropriate disciplinary action, including but not limited to: suspension, permanent suspension and/or referral to law enforcement authorities.